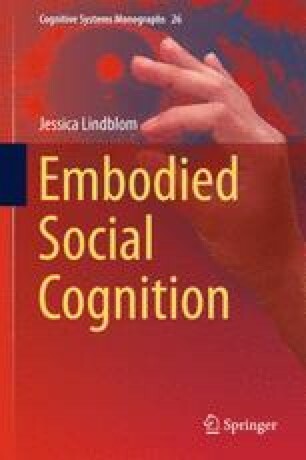 This chapter investigates issues of social interaction and cognition, analyzing and discussing in further detail the common characteristics, levels, kinds and methods of studying social interaction and cognition. In addition, two different metaphors concerning how to view social interaction and cognition are compared and contrasted, and finally the nature and methodological study of social interaction are re-characterized, offering alternative explanations to the traditional view. It also investigates the role of the social body in motion in child development that subsequently leads to an alternative embodied explanation of how the social mind develops. Information is created in the interface between perception and action ... the salience of the body ... is missing in many theories of meaning. ... social scientists are body-dead because they are conceptually brain-dead to signifying acts within the semiotics of body movements. Nothing is more wrong-headed than calling meaning a mental activity.